Celebrate a special occasion or host a corporate event at Legal Sea Foods. 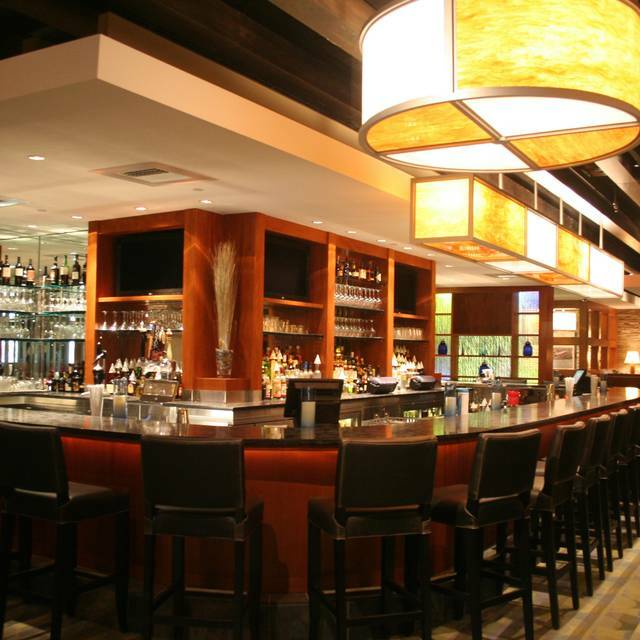 Here in King of Prussia, our private dining room can accommodate up to 50 people for a sit down dinner and up to 75 guests for a cocktail reception. 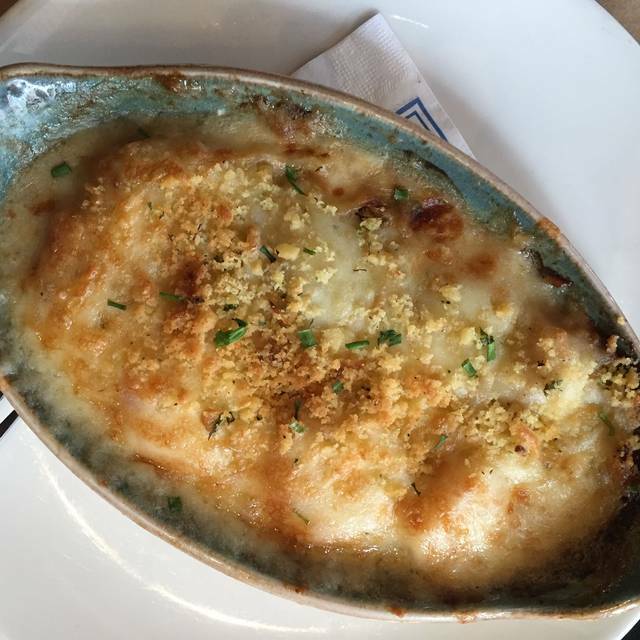 Legal Sea Foods is a Philly favorite. Surrounded by hotels and near both the Valley Forge Convention Center and Valley Forge National Historic Site, we are at a mall entrance on the upper level of the Court. Guests get reeled in by our buzz-worthy lounge and comfortable dining room. 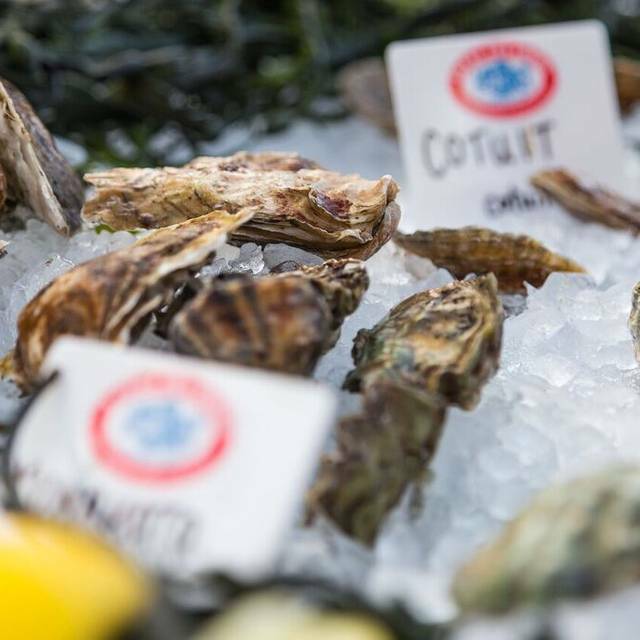 Half-shell hedonists may sit at our 10-seat horse-shoe shaped oyster bar where slurping is encouraged. 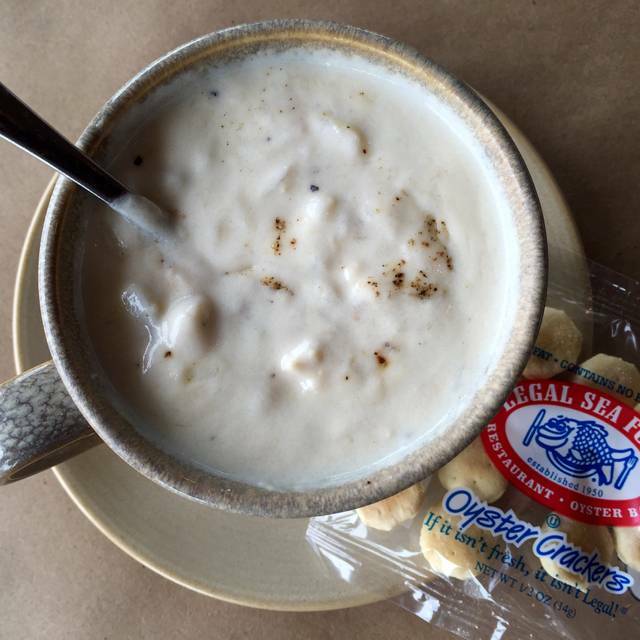 We’ve received a boatload of accolades including the honor of serving our legendary New England Clam Chowder at every presidential inauguration since 1981. Lobster Ravioli & Shrimp "Frá Diavolo"
Celebrate Easter with us! 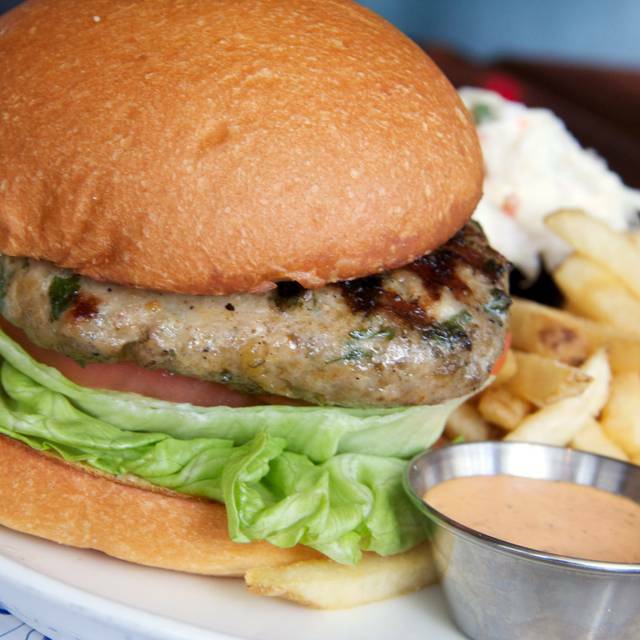 We'll offer our regular menu along with special holiday features. Reservations are recommended. Although very nice, server forgot several items that were ordered. We found ourselves reminding her about their delayed delivery or that they were forgotten. Was very pleased with all the meals we had, definitely coming back! Excellent service! Our server was great and very attentive. The atmosphere was nice as well. Food was excellent, service was OK. Found the lunch menu to be quite pricey for what we received. Two people at lunch with just regular drinks should not be over $100. I love Legal Sea Foods. Our service was exceptional and the food was delicious. For the service and taking care of an issue I had with a gluten free meal, I would go back and give the food another try. My husband salmon had too many almonds on it and my trout could have been hotter. I think my trout sat under the light longer than it should (maybe a waitress issue). Overall it was good hopefully, next time it will be GREAT. 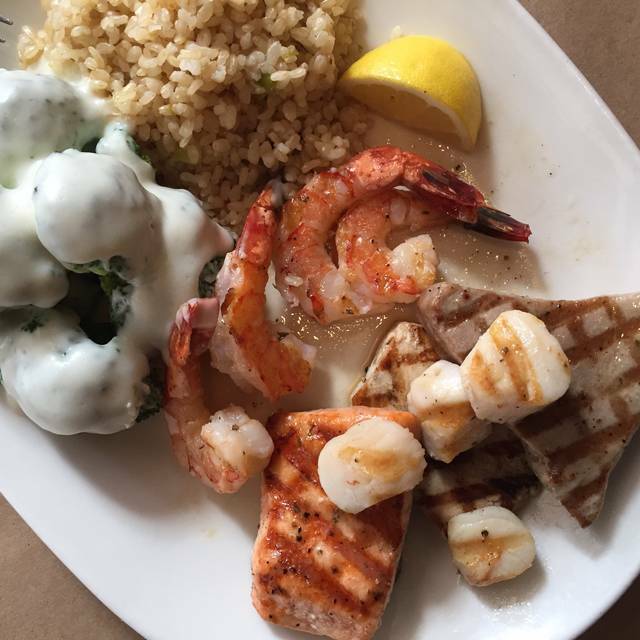 I had a taste for salmon and Legal Seafoods served up exactly what my taste buds were desiring. The butternut squash and Fisherman's platter were bonuses to a great meal. 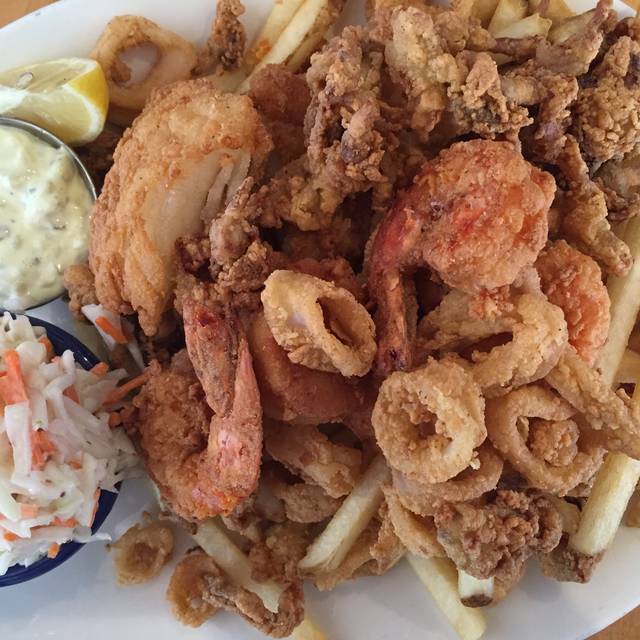 The best fresh seafood in the area. Not a quiet "date" place but come for the sea food. Good choice of seafood all fresh. It is true to the original in Boston. Everything about this restaurant was great. Will be back. Way over priced for what we got. Would not go back. Too many other places that are better. Great evening to go out to dine it was slow- but I was surprised at how long the food took to come out. First time visit. Everyone was so friendly - the hostess, manager, bartender & server! The lobster, scallops & trout were perfect! Food was good-oysters and tuna, and salmon and cod. Sancerre and sangria were quite tasty. Everything is a tad pricey, but maybe that's for the Mall rent. Birthday. We got the stuffed lobster. It could have gone without the crackers stuffed in the dish for filler. Although we had a reservation, restaurant seemed to be overbooked. Once seated, after a wait, we had to run down a server to wait on us. Once we were served, food was very good. It was Restaurant Week so the restaurant was busy - perhaps the staff should be increased during special promotion times. When we walked out about two hours after we entered, we were surprised to see how many people were still waiting to be seated because there were several open tables while we were dining. Although the service was slow, the food was excellent. Really enjoyed the crab cakes with lovely salad; bang bang califlower and calamari were awesome; server was excellent and attentive to my dairy intolerance and my friends gluten intolerance; parking was easy; will definitely go again! Service was slow food was okay small menu, thought it would have been better. Food was fabulous. Restaurant Week KOP. 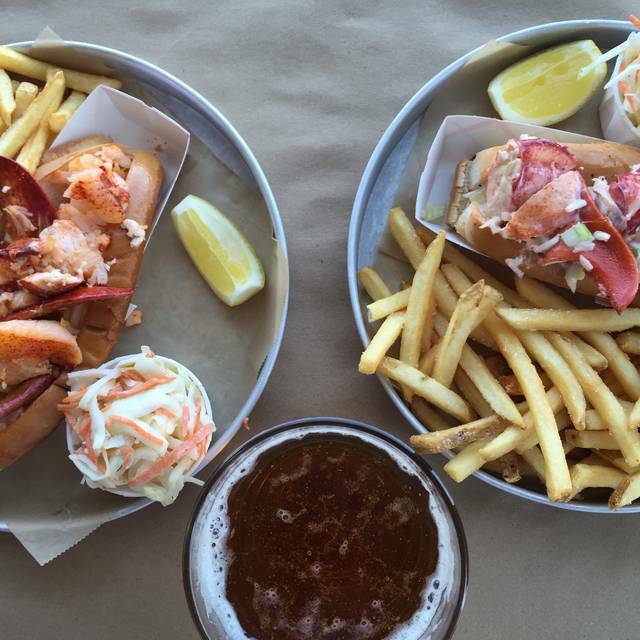 1 lb Lobster special with fries, coleslaw, appetizer and dessert for $30. Hard to beat. The $30 Restaurant Week dinner special was a great deal and the food was very good. One app, plus 1lb Lobster, plus desert makes for a great meal! Service could have been a little better in that it was a little long between sitting down and being able to order drink& food. Good food. Friendly responsive service. Good options for children. My wife and I have always enjoyed our visits to Legal Sea Food. This last visit was a bit disappointing in that their menu has shrunk considerably. The server was pleasant but the bar gave her an incorrect drink, which she took back. By the time the drinks were squared away, the food was on the table - a bit of a rush to what was intended to be a more leasurely dinner. Having said that, we will go back and give it another chance since we basically like the restaurant and hopefully a newer revision of the menu will show up and the service will get back to the level it always had been. Got bang shrimp, cauliflower app , Caesar salad and cod dish. All very good. Children portions very good for price. Portions of cheeseburger were adult sized and we got a filet for my son (which was not on menu) but they did it for him. ) Very nice. Its inside the mall so very convenient if u are shopping. No prob there, nothing to rave about but all very good! Why were the steamers taken off of the menu? Disappointing! Jessica was amazing. We were celebrating a birthday and she made sure we enjoyed ourselves. The waitress was awesome and very helpful. The food was awesome! Food was very good. Service was very good. It was expensive. We had 3 adults and 3 children. With drinks it was close to $50/person. With that said, it was a special occasion and everything was very good. The kids had bacon wrapped shrimp, lobster and a hamburger. The adults had the lobster ravioli fra diavolo and a couple of tuna dishes. We had the cauliflower and oysters for appetizers. They were out of scallops and lobster and a fish. It was a Wednesday night. Thought it was pretty poor planning to run out of basic seafood items. We didn’t find out about the out of stock items until we had ordered and the server took the full order. She had to come back 10 minutes later to have us reorder. Also, told the server we wanted the soup hot, it was Luke warm at best and had to send it back. I was underwhelmed to say he least. 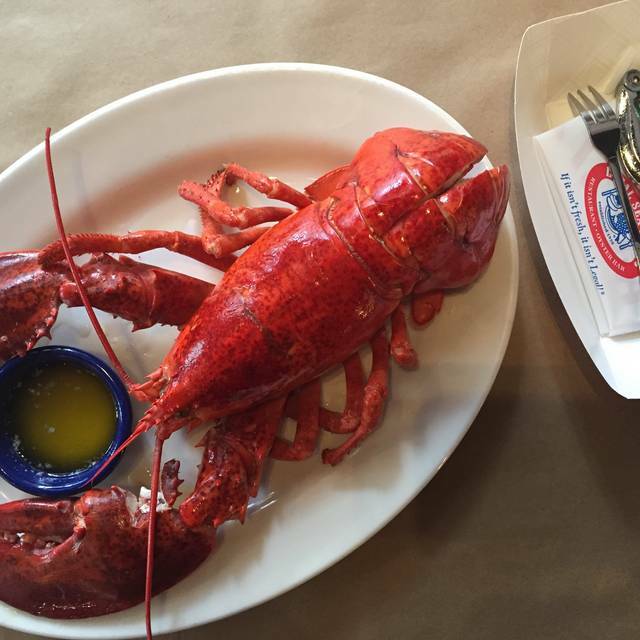 I had eaten at the legal seafood in Boston several years ago and remember a very good experience. Bang bang cauliflower to die for! Was there to celebrate my sisters birthday. First time for all of us, it was lunch time but I wanted something off of the dinner menu and it wasn’t a problem. Service was great and the food was delicious! Very disappointed. After many years (at least 20) of dining at Legal Seafood in King of Prussia, Boston Area and Washington, DC. Our favorite entry has always been the Stuffed Shrimp, which in later years was served casserole style. THEY TOOK THIS OFF THE MENU. Manager offered an explanation that they were simplifying their menu. Please bring this entry back. Have never been disappointed at Legal Sea Foods - KOP. And the fact that they offer gluten-free options that are outstanding is a huge plus. They have taken numerous things off the menu in the king of Prussia legal seafood so that was disappointing. They didn’t even have the wedge salad. Put your menu back to what it was. Good fresh seafood but noisy and expensive. They dropped two of my favorite dishes, swordfish and fried clams.